A clergyman from Tucson, Arizona has taken an informal survey of fellow clergy and discovered that up to 80% had been 'scarred' by substance abuse within their families, this often being a factor leading to their entry into the priesthood. A study from Columbia University suggested that spirituality and religion can reduce the risk of substance abuse. But the conclusion of this article really addresses drug abuse among members of the congregation, not the religious leaders themselves. However, drug abuse among the clergy has not been completely ignored. A web-site about substance abuse among clergy does exist, a support-site with contact information for clergy who need help with their addiction problems. Gregory Efimovich Rasputin, the infamous monk and advisor of the Russian Tzar and his family was said to have learned Siberian shamanic rituals from a fellow monk, Mikhail Nickolayevich Ivanov, also known as the Reverend (St.) Makariy of the Russian Orthodox Church. Makariy had cured Rasputin's sleep disorder, trained him in hypnotism and taught him the use of alcohol and 'other drugs' for 'spiritual transformation'. 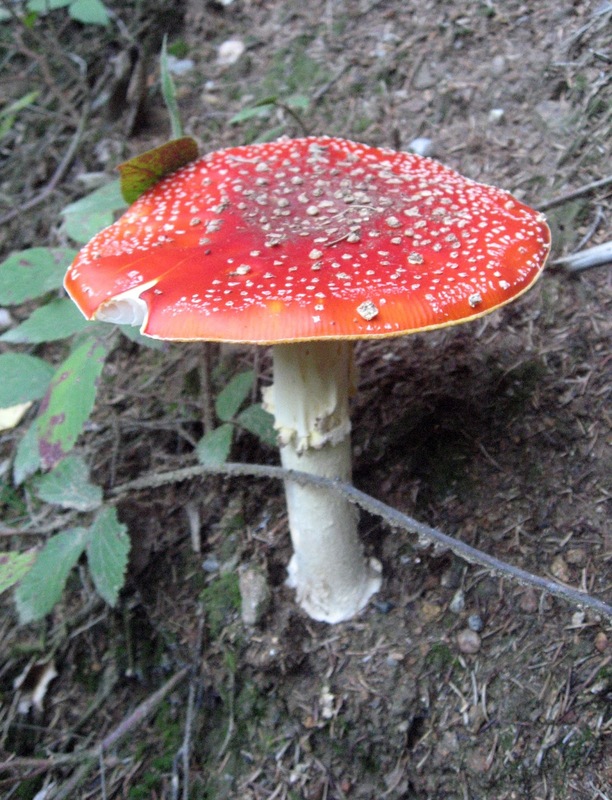 The drug used by Makariy (and Rasputin) was likely derived from the mushroom 'amanita muscaria' (fly muscaric), a species common in Siberia and much of the boreal forests of northern Europe. 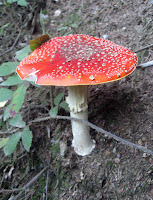 The fungus is known for its hallucinogenic properties due to its content of muscimol, a substance similar to psilocybin but producing more dissociative effects (see post: Drugs Used in Religion-The New World). A prescription drug called Zolpidem (Ambien in the US) has a mechanism of action similar to muscimol (potentiates a neurotransmiter called GABA), resulting in a lucid-dream like state. Zolpidem has been used to treat insomnia, a common sleep disorder. Muscimol, derived from the fly muscaric mushroom was likely the drug given to Rasputin by Makariy in order to 'cure' that monk's sleep difficulties. 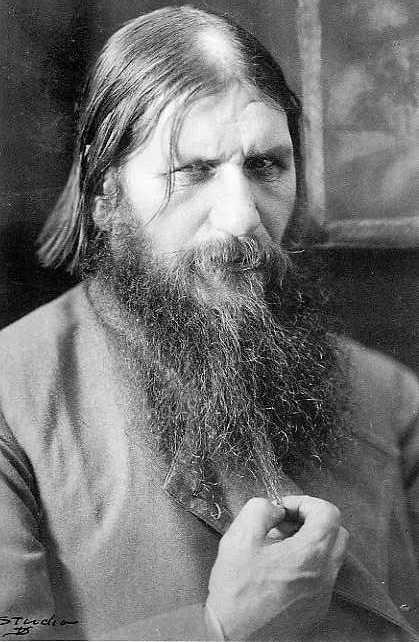 Hallucination, increased libido and delusion are potential side effects of this drug and, taken in unregulated form (as in the form of a mushroom extract), this may have been a contributing factor to Rasputin's notorious behaviour. 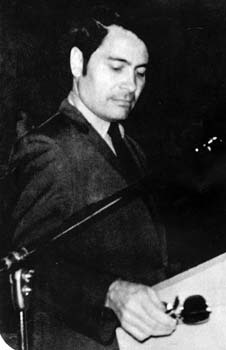 But the most well-known 'high' priest, at least in modern times, is the Reverend Jim Jones, leader of The Peoples Temple (see post: The Reverend Jim Jones). Jonestown, the Peoples Temple hideaway in Guyana, South America is where Jones convinced over nine hundred of his followers to commit suicide by ingesting cyanide-laced fruit drink. Inside Jones' living space within the Guyana compound, enormous quantities of drugs (sedatives, narcotics) were found. Within his dead body, Jones was packed with the residue of barbiturates, marijuana and LSD. *Religious personality cults: subject of research for the novel The Tao of the Thirteenth God - Amazon Kindle.